This 3 Piece Straw and Lid Set from Klean Kanteen is the perfect accessory for the 16oz or 20oz Insulated Tumblers and Steel Pint Cups and to save the planet from plastic straw waste. Great for smoothies, pressed juice, or iced coffee, the Straw Lid Set makes sipping safe, easy and spill resistant. 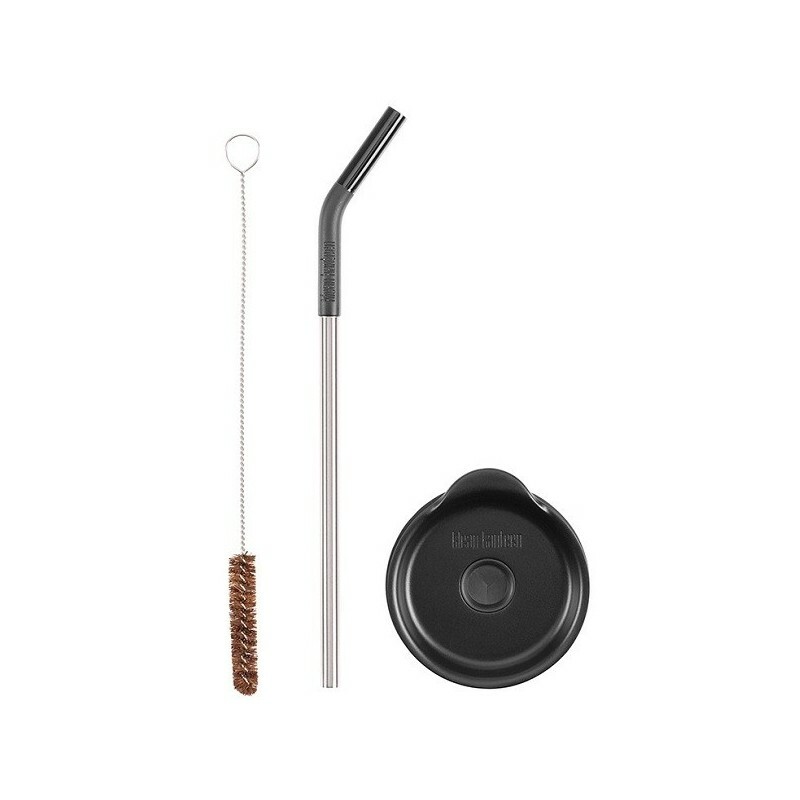 Set includes: Lid, straw with silicone flex tip and a straw cleaner. Diversify the use of your Klean Kanteen tumbler with this straw and lid set. Straw is made from high quality 18/8 stainless steel with a safe, food grade, removable silicone flex tip. Press fit Straw Lid is BPA-free and easy to clean with removable silicone gasket. Straw Brush made of 18/8 stainless steel and natural palm fiber bristles to make it easy to keep the straw maintained, clean and easy to go from smoothies to coffee to water. 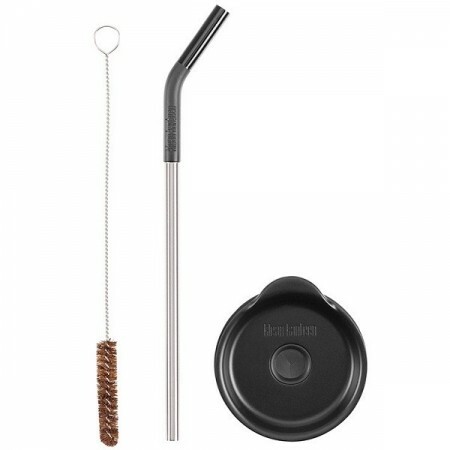 Set includes 2-piece stainless steel & food grade silicone straw in black, straw lid, and straw brush. 18/8 stainless steel straw construction. Safe, food grade, removable silicone flex straw tip. Spill resistant straw lid with BPA-free polypropylene #5 construction and easy to clean removable silicone gasket. Includes 18/8 stainless steel and natural palm fiber straw brush. Hand wash with warm soapy water or diluted vinegar and baking soda. Do not use bleach or cleaners containing chlorine or abrasives. Wet bristles of straw brush before use for best cleaning results. Browse our other Klean Kanteen accessories. This is so handy, lets me convert my now favorite cup into a semi safe drinking tool for all occasions!